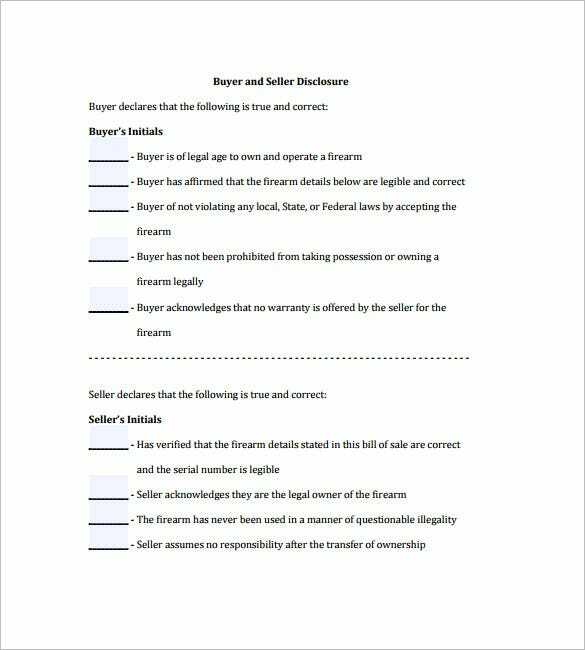 When you are fond of looking a gun in a known gun shop later to buy it for personal or career purposes, the use of gun bill of sale is necessary. 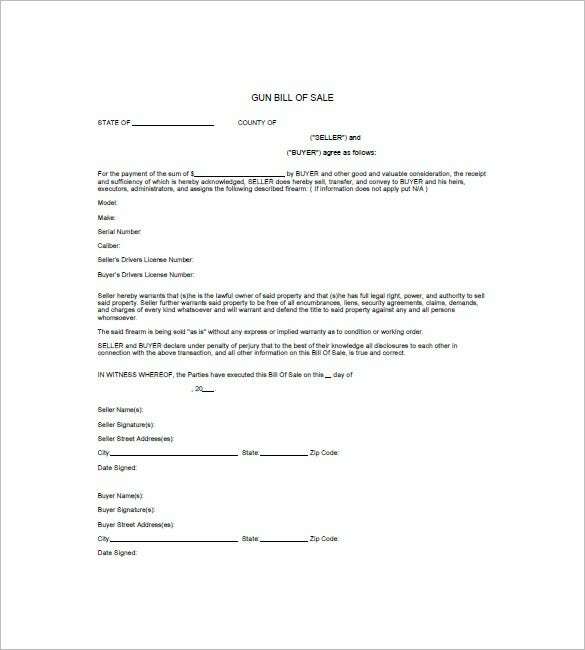 A gun bill of sale is a document used for the transaction of buying a gun from a seller and the terms and conditions agreed by both parties. 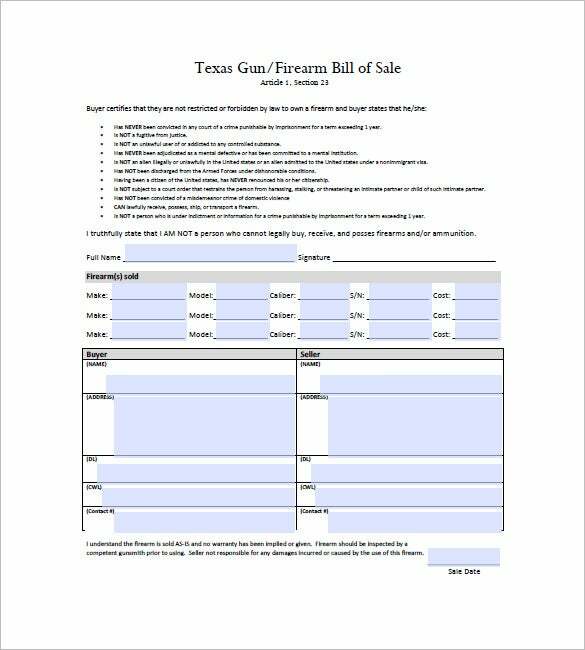 This is part of Firearm Bill Of Sale Template which gives us an access to the examples provided in a free download format via Microsoft Word. 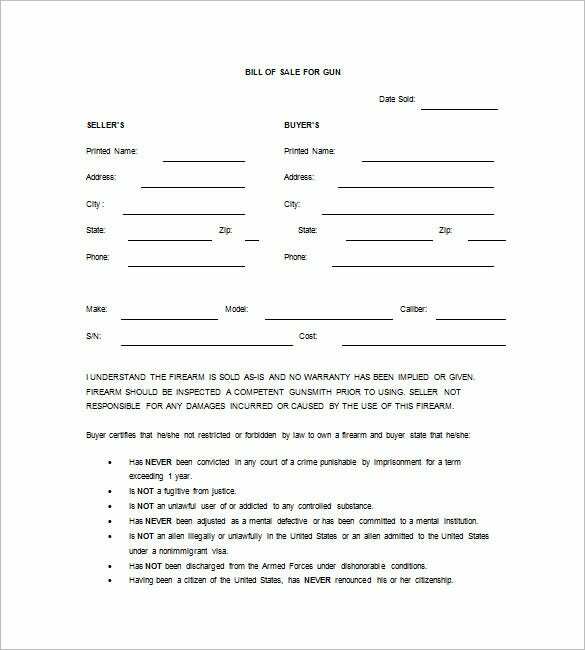 Free Gun Bill of Sale Template contains a carefully worded statement from the seller and a detailed description of the weapon. 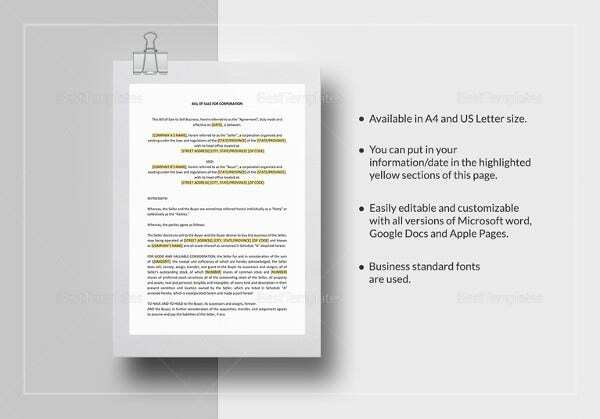 The addresses are at the bottom of the document . 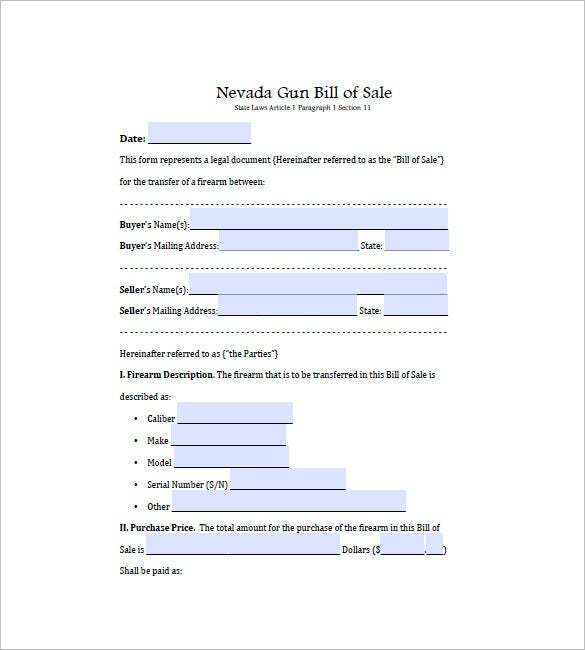 Printable Gun Bill of Sale Template has the buyer disclosure statement at the beginning of the statement followed by the seller’s statement regarding the weapon and its functionality. 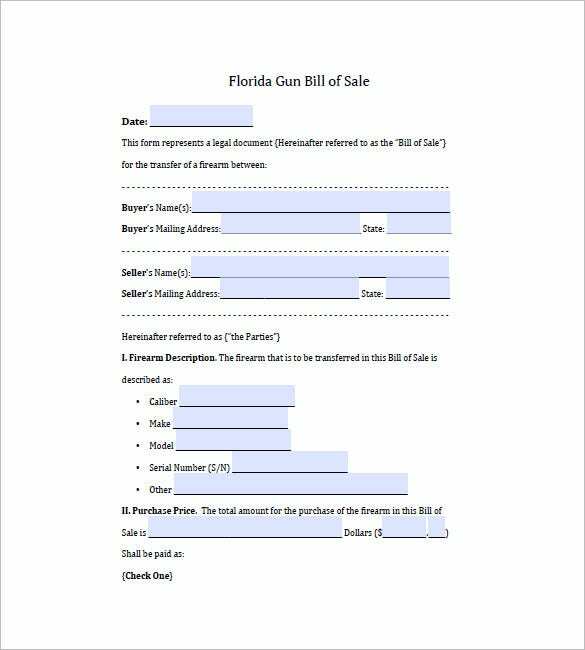 Gun Bill of Sale Florida states the transfer of the firearm between the buyer and the seller followed by the description of the weapon, its model, serial number, caliber etc. 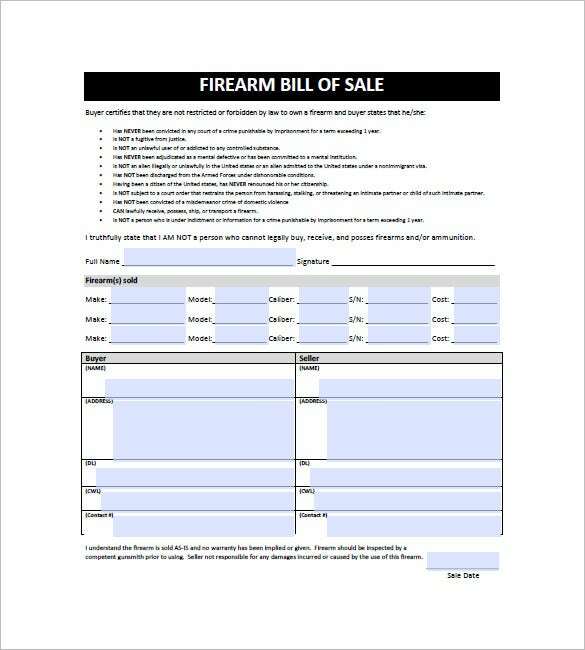 michigan.gov | Gun Bill of Sale Template’s top half is dedicated for the weapon and seller details, all in fields followed by instructions and distribution. Download now for free. 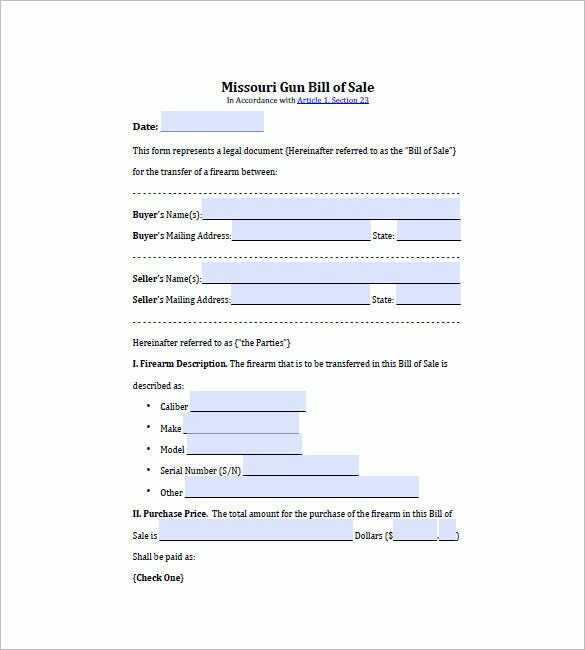 midwestguntrader.com | Sample Bill Sale of Gun contains the seller detail such as address, phone number etc, buyer details, and finally the description of the weapon. Download this template for free now. gunwarrior.com | Gun Bill of Sale Template has a detailed disclosure statement, the firearm’s make, caliber, s/n and cost. 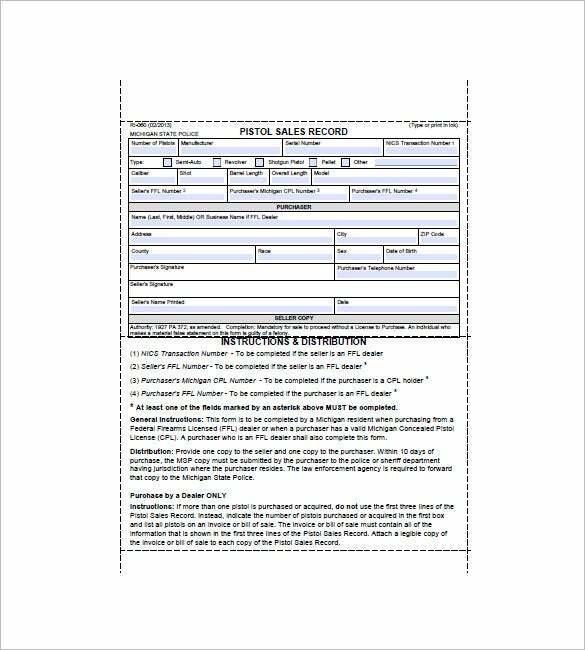 The buyer and seller details can be filled at the bottom half of the document in 2 columns. 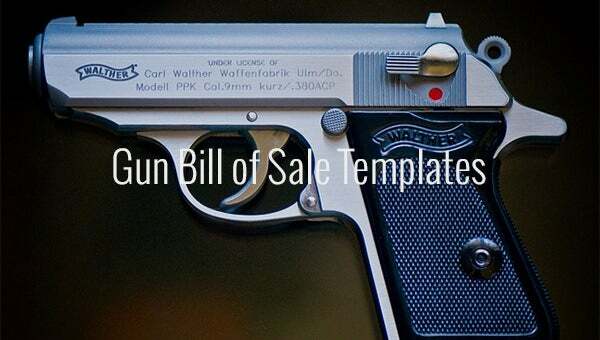 A concrete and appropriate gun bill of sale can be made with this template either customization of the samples offered or make use of it as a reference for creating a new one. The content and format of gun bill of sale must be clearly identified. The purpose of this bill of sale is to easily track and improve issues regarding guns with the respective countries. If you have any DMCA issues on this post, please contact us!